In support of Metta School’s vision statement ‘The Metta student leads an independent and meaningful life’, the school embarked on its maiden overseas adventure camp to Kota Tinggi Rainforest Resort in Johor, Malaysia. A total of 41 students and 12 teachers participated in the 3 days-2nights camp which began on 31 August and ended on 2 September 2015. In a genuine attempt to provide a holistic learning experience for our students, the focus of the camp fell on building self-confidence, resilience and teamwork. During the camp experience, the organisers and teachers witnessed moments when students realised their strengths and impressed themselves by willing and daring to stretch their potential a notch higher. Admirably, the students displayed immense determination and confidence in challenging themselves to overcome their fears in order to attempt the high ropes elements, jetty jump and obstacle course. The students also showed great perseverance and teamwork during the half-day kayaking challenge. In our view, the camp definitely stretched the students’ limits and challenged them to achieve in areas which they would have otherwise deemed as impossible. Undeniably, the camp proved to be a perfect platform for the students to build the “CAN DO” mindset. The camp experience in its entirety brought out the best in all the students and each one of them performed beyond our expectations. 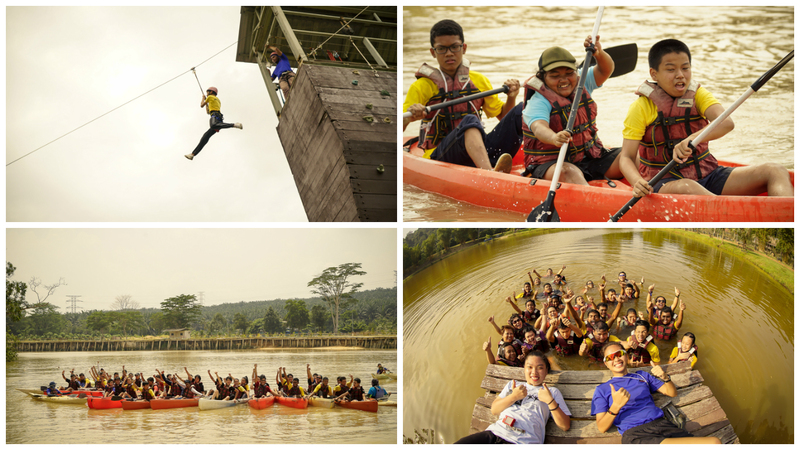 Thanks to all the students and teachers for making the adventure camp a meaningful and memorable one!